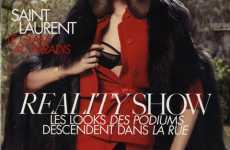 The anti-fur iAd campaign from Austrian activist group VGT slices through any assumptions that fur is fair to animals. The iAd is an interactive feature with bloody, eye-opening effects. The iAd focuses on an attractive model in a long fur coat. For most ads, when wanting to move to another page you simply swipe the touch screen and the iPad smoothly slides to the next page. With the anti-fur iAd, instead of another page coming on screen, the sliding action creates bloody scratch marks. Each stroke generates a fresh wound with realistic blood oozing from the surface. 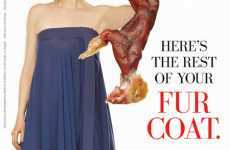 Whether or not you are an anti-fur activist, this iAd makes you see the immediate connection between fur clothing and animal cruelty.